We are a full-service home remodeling contractor locally owned and operated in Katy, Texas. At DGB Services, we understand that updating and remodeling your home is a significant financial decision, and we specialize in making your dreams a reality! We have a long-standing reputation for reliability and professionalism that we earned by treating our clients fairly and backing up our pricing and completion schedules with action. Our goal is to deliver a high level of service with exceptional value. With over 15 years of customer service experience in related fields, we want to make you smile. We strive to communicate effectively in order to help our clients achieve and maintain their backyard paradise. I look beyond chaos, to taylor my organizational projects to my clients personality. I aim for practicality, not only simplicity. More then beautiful, I maximize the space's functionality! I speak fluent Spanish, Portuguese and English. Anyone can learn how to organize! Trust me! I teach it to all my clients! Without the learning process, no project could be maintained! Call today to get organization in your life. Pools Plus LLC is your one-stop-shop for distinctive backyard environments, including: custom designed swimming pools and spas, patio covers, outdoor kitchens, pergolas, shade arbors, pool cabanas, gazebos, outdoor lighting, landscaping and Endless Pools Fastlane Swim Jet Systems. New for 2019 and to compliment a successful construction business is pool repair, pool renovations and weekly service for Greater Houston. We have always offered limited service and service to our existing clients, and now we bring over 50 years of experience in design, construction and business management in the swimming pool industry into the world of pool service and renovation, Our entire team works hard to provide our clients with a hassle free build and memorable swimming pool experience for years to come. Pools Plus LLC stands out even among the best pool companies which serve the Greater Houston area. Our “Partners in Quality” are the finest group of swimming pool trade contractors in the Greater Houston area complete various stages of construction to our high standards. Building an in-ground gunite/concrete pool is truly a major construction project. We sincerely want this to be a pleasure. Each step is outlined in our Construction Information Guide which follows a pre-scheduled, critical path to produce a high quality product, in a timely manner with daily communication to you the client. Third generation, family owned business since 2001. Adam & Sonia Traugott founders of Sunset Pools have been designing and building breathe taking custom pools in the Katy and Houston area. With a goal to set themselves apart from other builders, always stay on the cutting edge, create backyards for healthy fun living and above all create swimming pools that will give years of enjoyment for our customers and their families. We can completely transform your backyard with outdoor kitchens, cabanas, lush landscaping and lighting, arbors, sport courts and of course beautiful pools. 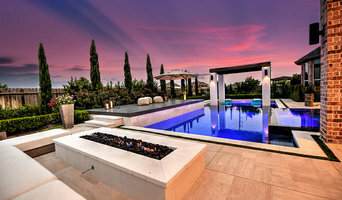 We have been ranked 38th by Pool and Spa News in the National Top 50 Pool Builders in 2013, won Regional Design Awards in 2003, 2004, 2005, 2008, 2013, 2016, 2017, 2019 and been voted Best of Katy Swimming Pool Companies 2014 and 2015,2016,2017 by Katy Times. Recently our daughters have joined our design team, now bringing 3rd generation knowledge to our team! *Authorized Dealer of Wellborn Cabinetry* Premier Kitchen & Bath specializes in custom cabinetry for the home. In addition, we provide a turnkey solution for your remodeling project including lighting, hardware, counters, flooring, plumbing fixtures, back splash, appliances, and much more. Our designers work with you one-on-one, providing custom tailored solutions and ideas. Take a look at our photos. The results speak for themselves! Builder of high performance residential swimming pools. If you attend a party, most people could probably tell you a pool building nightmare story. We are the exception to that. Quest pools delivers high quality pools, and a great experience from design, to after completion. If you want to join our growing list of happy clients, give us a call. Winner of the 2015 to 2019 Best of Houzz Awards for 5 years in a row! Winner of the 2014 to 2019 for 6 years in a row. Best of Katy, Texas award. Interior Design and remodeling company. Located in Katy, Texas. Prior to the inception of APark Design Studio, Alexandria worked for several prestigious design firms on high-status and award winning projects. She served as a adjunct professor as well as a speaker at different universities about her talent and her designs. She is a recipient of Dupage Art Award in 2007. Alexandria was also a member of Advisory Board at the Institute of Art and Design of Robert Morris University. She is a graduate of prestigious "The School of the Art Institute of Chicago" Some of the famous alumni include Georgia O'keefe (Blue and Green music), Grant Wood (American Gothic) and Ivan Albright (Into the world there came a soul called Ida). Cindy Aplanalp Yates, ASID, founder and Principal Designer of Chairma Design Group, is the winner of numerous Houston’s Best, Prism, ASID, HGTV’s Show- House Show- Down and other building/design related awards. Her firms celebrated work is frequently published. The key to Chairma’s success is the close personal connection Cindy and her design team share with each client. This personal attention allows them to create easy living, yet elegant interiors that are as unique as each individual they serve. A true believer that the best projects are a collaborative effort between the client, her design team and other engaged design/building professionals, this team spirit fuels her desire to craft lasting, memorable homes for exceptional living. To Cindy, her work feels like play. Cindy has been awarded the "Best of Houzz" for Design and Service since 2013. Check out our reviews and contact us for your next project! Experienced Home Builder New Tradition Builders' Owner, Daniel Lawrence, has been in the construction industry for over 20 years, making him a seasoned professional in new home construction and remodeling. With such extensive experience in construction, Daniel is able to bring a wealth of knowledge to the table in all construction projects. Affordable Custom Home Building An advantage to having such a history in the construction business is being able to build relationships with vendors and manufacturers alike. The goal of New Tradition Builders is to provide homeowners the finest home with the highest quality features at the lowest price. New Tradition Builders makes affordable custom homes possible because we invest the time and effort to build these solid industry relationships with brand name manufacturers. Whether you live in the Greater Houston area or the Dallas-Fort Worth metroplex, let Texas Custom Patios be your outdoor living expert. Texas Custom Patios is a residential remodeling contractor that specializes in the designing & building of custom outdoor living projects. We build covered patios, screened porches, outdoor kitchens, pergolas, room additions & more. A turn-key custom project will be designed & built to look original to your home. But before you start sending out dozens of emails and making phone calls, sit down and think about your project. What's your budget? What is the scope of your project? Will you need more than one type of professional to complete your home improvement project in Katy, TX? Can you afford to complete the full project now, or should you tackle it bit by bit? Once you've settled on your project’s priorities, budget and scope, it's time to start researching Katy, TX home design professionals. Don't sell yourself short and settle on the first professional you set your sights on. Make sure that you're working with someone local, who can get to the jobsite easily and efficiently. Look into the person’s reviews, ask to speak with former clients and to see previous jobs in person. Take a good look at their portfolio photos: How similar are these projects to your own? Be honest — that mansion might look beautiful, but it might not have a lot in common with your little bungalow. Reach out to multiple professionals — especially for larger projects — and don't settle for the first bid you hear. Comparing multiple Katy, TX professionals' bids and experiences can help you find the one that’s best for you. Ask a lot of questions now, so you won't have unexpected answers later. Find a home design professional on Houzz. Narrow down your search by type of professional and location. 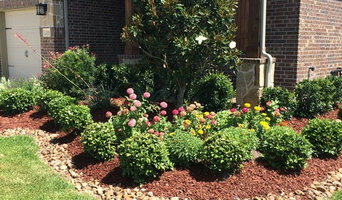 Browse Katy, TX portfolio photos, read client reviews and contact each Katy, TX professional for more information. Check out the information in the specialized professional sections too for tips on how to hire the right professional for your project.